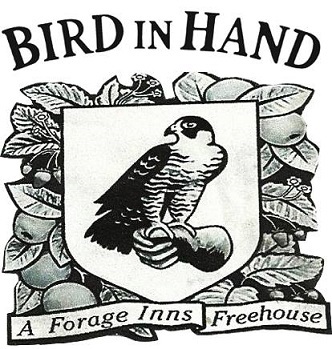 Situated close to central Bristol but in a rural setting, the Bird in Hand offers fantastic food and ales in a warm, welcoming environment. A true food led pub offering modern British cuisine using local, seasonal and foraged produce. We went for lunch on quiet Monday, and we had great service. We ate off the fixe-price menu and all three dished were well presented and quality of the preparation and cooking didn't disappoint :-). When we paid the bill I included a tip, which the server pointed out there was an optional service charge included, so he turned down the extra, which was a reassuring move. I wasn’t paying so it was excellent value from my perspective! Our starters were OK but the main (hogget) was excellent. We dined here on Saturday Evening and had a lovely meal, Service was excellent. Food was incredible. Wonderful setting with very accommodating and friendly staff. Would definitely recommend and we hope to visit again soon! Greeted on arrival by a very lovely young man who had taken the time to research my dietary needs as stated on the booking form. Great service with genuine care, nothing seemed too much trouble. Lovely pub and great food but it is the staff that make it special. Thank you. Another great meal and service first class.Will be back again soon. really enjoyed our visit, everyone very happy with the food. awesome.. chef and the team were dynamite! 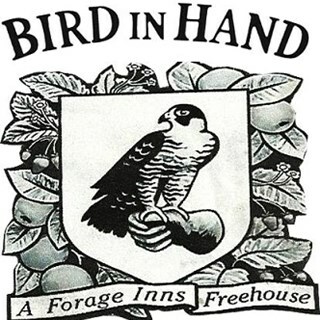 We, again, thoroughly enjoyed our second meal at the Bird in Hand and will be sure to eat there again. Great service, tasty food, flexible kitchens and yummy surprises accompanied by delicious wine recommendations. Lovely food and good service. Atmosphere not great but it was a Monday! Background music was a little too loud initially, but it was turned down later. Good food. Excellent Sunday lunch as usual. And friendly staff that go that extra mile to accommodate us. Enjoyed the meal very much, but would have liked option of brown bread (sorry if there was, I forgot to ask). The menu was interesting and, as usual beautifully cooked and presented. Really lovely waiting staff and the food was excellent. Thank you very much. It's brilliant to be able to go on a long walk with the Bird In Hand as a destination that welcomes the dog. Thank you. Service charge for 2 people seems a bit extreme to me. The service was good and I would have tipped but to just add it on the bill for 2 people! Really. Atmosphere a bit cold and the menu limited I thought. The service was slow and surly. Despite pre-ordering we had to wait over 1 hour between courses. When we were served, I felt like we were an inconvenience - the waitress repeatedly walked past our table without even glancing to see if we needed anything. I think the worst part was when desserts were delivered and then we had to get our own cutlery as the waitress either forgot or couldn't be bothered. The handling of the bill was appalling. Despite paying a £130 deposit, this was not accounted for and the bar person was suggesting we hadn't paid in full. In fact, as I recall, the service charge was actually paid (I don't believe it should have been). When I mentioned that things had been a little slow I was patronisingly told that they were short-staffed. I'm sorry, but you took the booking and you did nothing during the meal to make up for this or even let us know that was the case. I also think that given the price and it was a festive meal, there should have been some crackers on the table. The food was very disappointing. We were offered bread but no side plates to eat it on. Steaks were overcooked and had clearly been sitting about as the veg on my plate was only luke-warm. One person in the party who had the risotto felt ill for a couple of days after. Some of puddings were tiny and tasted as if they had come from supermarket frozen aisle section. Overall the consensus of the table that it was below the standard they expected, given the cost. This was such a shame and a huge let-down as I've always had great experiences at The Bird In Hand and always highly recommended the place. I'm hoping this was just an off day. Service was spot on. Perfect sunday lunch Thank you. Fantastic food and a great atmosphere. With short notice the kitchen rustled up plates of food for a member of our party who is a vegan. She said it’s the best food she’s ever had when dining out. The service was also excellent. Great food and well looked after. Friends were well pleased and are going to book.